Home > Updates > సంక్రాంతి శుభాకాంక్షలు.... మీ రాజు ఎడవెల్లిఆపిల్ ENT హస్పటల్.Apple ENT care Nursing home hanamkonda.Beside Gandra complex Vijaya theatre road.Dr.Harikishore MS ENTSenior ENT surgeon inIndian Army hospitalBangalore.for more info.www.appleent.in9160099224.appleentcare@gmail.comApple ENT Care, www.appleent.inDr Harikishore ENT, Nose Surgery Specialists in Hanamkoda, Top ENT in Warangal, Ear Telangana, Throat swelling, Throat swelling clinic in Warangal, Throat swelling clinic in hanamkonda, Throat swelling clinic in Kazipet, Throat swelling clinic in near Hyderabad, Throat swelling clinic in Telangana, Throat swelling clinic in near me, Thyroid swelling, Thyroid swelling clinic in Warangal, Thyroid swelling clinic in hanamkonda, Thyroid swelling clinic in Kazipet, Thyroid swelling clinic in near Hyderabad, Thyroid swelling clinic in Telangana, Thyroid swelling clinic in near me, Best ENT doctor, best ENT Specialist, best ENT Specialist in Warangal, best ENT doctor in Warangal, best ENT doctor in hanamkonda, best ENT doctor in Kazipet, best ENT Specialist in hanamkonda, Rhinoplasty doctor, Rhinoplasty doctor in Warangal Telangana, Rhinoplasty doctor in hanamkonda, Rhinoplasty surgeon in hanamkonda, Nose shaping surgery in Warangal, Nose doctor in Warangal, ent specialist in hyderabadent specialist in secunderabadbest ent specialist in secunderabadent hospital secunderabadbest ent specialist in warangalent specialist in ecilent specialist in hanamkondabest ent specialist in hanamkondaent clinic hanamkonda telanganaent hospitals in hanamkondaent clinic hanamkonda telanganaent doctors in warangalbest ent specialist in hanamkondaNose surgeon in hanamkonda, ENT specialist in Warangal, ENT specialist in hanamkonda, ent specialist in hanamkondaENT clinic in Warangal Telangana, ENT clinic in hanamkonda Telangana, ENT doctor in Warangal Telangana, ENT doctor in hanamkonda Telangana, ENT doctor near warangal Telangana, ENT doctor near hanamkonda Telangana, Top ENT doctor, best ENT Specialist, Top ENT Specialist in Warangal, Top ENT doctor in Warangal, Top ENT doctor in hanamkonda, Top ENT doctor in Kazipet, Top ENT Specialist in hanamkondaENT doctor in kazipet Telangana, ENT specialist near hanamkonda, ENT specialist near warangal, ENT Clinic, Hanamkoda Apple ENT Care, Dr Harikishore ENT, Apple ENT Care, Dr Harikishore ENT, ENT in Warangal, Telangana, | Best ENT Hospitals in Hanamkoda, Ear doctor in Warangal, Telangana, India, Apple ENT Care, Dr Harikishore ENT, Best Ear Specialist Hanamkoda, Warangal, Telangana, India, Apple ENT Care, Dr Harikishore ENT Best ENT Doctors Hanamkoda, Warangal, Telangana, Apple ENT Care, Dr Harikishore ENT, HNK ENT Surgeon in Hanamkoda, ENT in Warangal, Telangana, Apple ENT Care, Dr Harikishore ENT ENT Specialist in Hanamkoda, Warangal, TelanganaENT in Kazipet, India, Apple ENT Care, Dr Harikishore ENT, Ear Treatment Nose Hospitals in Hanamkoda, Throat Hospitals inWarangal, Telangana, Apple ENT Care, Dr Harikishore ENT, Ear Surgeon, ENT in Hanamkoda, Warangal, Telangana, India, Apple ENT Care, Dr Harikishore ENT , Ear Surgery ENThospitals in Hanamkoda, Warangal, Telangana, Apple ENT Care, Dr Harikishore ENT , HNK, hnk, Nose Specialist in Hanamkoda, Best ENT in Warangal, Telangana, hanamkonda ENt in Warangal, Apple ENT Care, Dr Harikishore ENT| Nose Treatment Hospitals in Hanamkoda, Warangal, Telangana, Apple ENT Care, Dr Harikishore ENT, Nose Surgeon in Hanamkoda, Best Nose Warangal, Telangana, Apple ENT Care, Dr Harikishore ENT, Nose Surgery Specialists in Hanamkoda, Top ENT in Warangal, Ear Telangana, Apple ENT Care, Dr Harikishore ENT India, Nose surgery Hospitals in Hanamkoda, Top ENT Warangal, ENT Telangana, Apple ENT Care, Dr Harikishore ENT, HNK, WGL, Throat Specialist in Hanamkoda, Warangal, Telangana, Apple ENT Apple ENT Care, Dr Harikishore ENT, HNK, WGL, Nose Throat Treatment Hospitals in Hanamkoda, Warangal, Apple ENT Telangana, Apple ENT Care, Dr Harikishore ENT, HNK, WGL, ENT in Warangal, ENT Throat Surgeon in Hanamkoda, ENT in Warangal, Telangana, Apple ENT warangal , Apple ENT Care, Dr Harikishore ENT, HNK, WGL| Throat Surgery in Hanamkoda, Warangal, Telangana, Apple Ear India, Apple ENT Care, Dr Harikishore ENT, HNK, WGL, ENT Throat surgery Hospitals in Hanamkoda, Top ENT Warangal, Telangana, Apple ENT, Apple ENT Care, Dr Harikishore ENT, HNK, WGL, Best ENT in Hanamkoda, Ear in Warangal, Telangana, Apple ENT India , Apple ENT Care, Dr Harikishore ENT, HNK, WGL| Best ENT Throat neck Hospitals in Hanamkoda, ENT in Warangal, Apple ENT Care, Dr Harikishore ENT, HNK, WGL Telangana, Apple ear Nose Neck India Apple ENT Care, Dr Harikishore ENT, HNK, WGL| Ear And Nose And Throat Services in Hanamkoda, Ear in Warangal, Telangana, Apple ENT Care, Dr Harikishore ENT, HNK, WGl.ENT SPECIALIST IN warangal, Ear nose throat clinic in hanamkonda, Ear nose throat clinic in Warangal Telangana, Ear nose throat thyroid clinic in Warangal, Ear nose throat thyroid clinic in hanamkonda, Ear nose throat doctor in Warangal, Ear nose throat thyroid problems, Ear nose throat thyroid surgeon in hanamkonda, Thyroid problems, Thyroid doctor, Thyroid surgeon, Thyroid clinic in hanamkonda, Thyroid hospital in Warangal, Thyroid hospital in hanamkonda, Thyroid Specialist in Warangal, thyroid Specialist in hanamkonda, Best ear doctor, best ENT Specialist, best ear Specialist in Warangal, best ear doctor in Warangal, best ear doctor in hanamkonda, best ear doctor in Kazipet, best ear Specialist in hanamkonda, Best nose doctor, best ENT Specialist, best nose Specialist in Warangal, best nose doctor in Warangal, best nose doctor in hanamkonda, best nose doctor in Kazipet, best nose Specialist in hanamkonda, Best throat doctor, best ENT Specialist, best throat Specialist in Warangal, best throat doctor in Warangal, best throat doctor in hanamkonda, best throat doctor in Kazipet, best throat Specialist in hanamkonda, Best thyroid doctor, best ENT Specialist, best thyroid Specialist in Warangal, best thyroid doctor in Warangal, best thyroid doctor in hanamkonda, best thyroid doctor in Kazipet, best thyroid Specialist in hanamkonda, Best thyroid clinic, best ENT clinic, best thyroid clinic in Warangal, best thyroid clinic in Warangal, best thyroid clinic in hanamkonda, best thyroid clinic in Kazipet, best thyroid clinic in hanamkondaJust dial hearing specialist in Warangal , Just dialhearing aid doctor in Warangal, Just dialhearing aid doctor in Warangal, Just dialhearing aid centers in Warangal, Just dialhearing aid stores in Warangal, Just dialhearing test centers in Warangal, Just dialhearing specialist near me, Just dialhearing specialist in hanamkonda, Just dialhearing aid doctor in hanamkonda, Just dialhearing aid doctor in hanamkonda, Just dialhearing aid centers in hanamkonda, Just dialhearing aid stores in hanamkonda, hearing test centers in hanamkonda, Just dialJust dial Hearing Specialist name, Just dial hearing aid doctor near me, Just dial hearing aid doctor near me, Just dial hearing aid centers near me, Just dial hearing aid stores near me, Just dial hearing test centers near me, Just dial Hearing Specialist name, Just dial Best ENT doctor in Warangal, Just dial Best ENT doctor in hanamkonda, Just dial Best ENT doctor in Kazipet, Just dial Best ENT doctor in near Hyderabad, Just dial Best ear nose throat doctor in Hyderabad, Just dial Best ENT Specialist in Warangal, Just dial Best ENT Specialist in hanamkonda, Just dial Best ENT Specialist in Kazipet, Just dial Best ENT Specialist in near Hyderabad, Just dial Best ear nose throat Specialist in Hyderabad, Near Hyderabad India, . సంక్రాంతి శుభాకాంక్షలు.... మీ రాజు ఎడవెల్లి ఆపిల్ ENT హస్పటల్. Apple ENT care Nursing home hanamkonda. Beside Gandra complex Vijaya theatre road. Dr.Harikishore MS ENT Senior ENT surgeon in Indian Army hospital Bangalore. 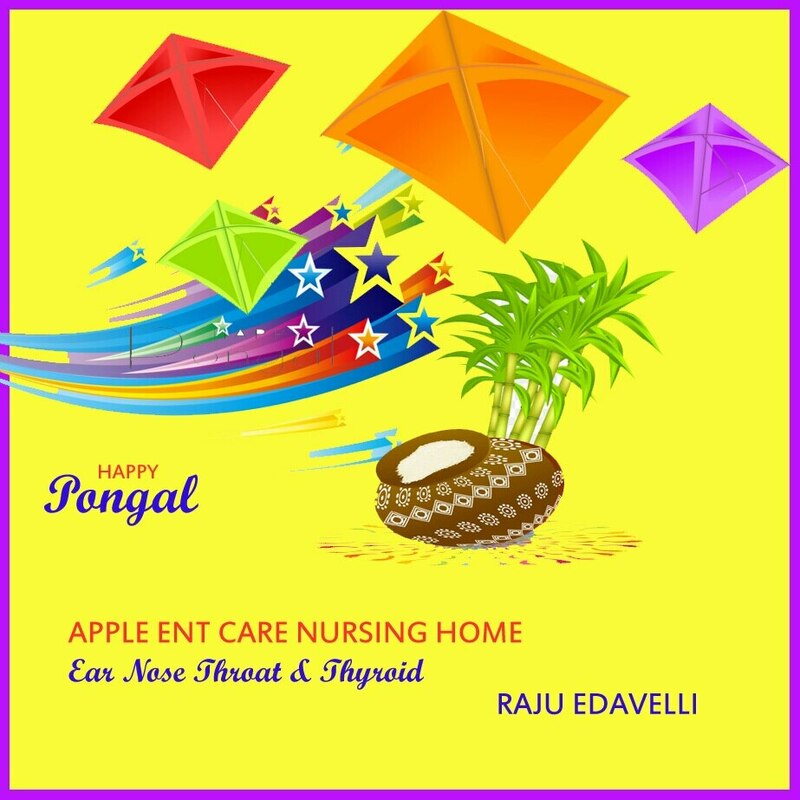 for more info.www.appleent.in 9160099224. appleentcare@gmail.com Apple ENT Care, www.appleent.in Dr Harikishore ENT, Nose Surgery Specialists in Hanamkoda, Top ENT in Warangal, Ear Telangana, Throat swelling, Throat swelling clinic in Warangal, Throat swelling clinic in hanamkonda, Throat swelling clinic in Kazipet, Throat swelling clinic in near Hyderabad, Throat swelling clinic in Telangana, Throat swelling clinic in near me, Thyroid swelling, Thyroid swelling clinic in Warangal, Thyroid swelling clinic in hanamkonda, Thyroid swelling clinic in Kazipet, Thyroid swelling clinic in near Hyderabad, Thyroid swelling clinic in Telangana, Thyroid swelling clinic in near me, Best ENT doctor, best ENT Specialist, best ENT Specialist in Warangal, best ENT doctor in Warangal, best ENT doctor in hanamkonda, best ENT doctor in Kazipet, best ENT Specialist in hanamkonda, Rhinoplasty doctor, Rhinoplasty doctor in Warangal Telangana, Rhinoplasty doctor in hanamkonda, Rhinoplasty surgeon in hanamkonda, Nose shaping surgery in Warangal, Nose doctor in Warangal, ent specialist in hyderabad ent specialist in secunderabad best ent specialist in secunderabad ent hospital secunderabad best ent specialist in warangal ent specialist in ecil ent specialist in hanamkonda best ent specialist in hanamkonda ent clinic hanamkonda telangana ent hospitals in hanamkonda ent clinic hanamkonda telangana ent doctors in warangal best ent specialist in hanamkonda Nose surgeon in hanamkonda, ENT specialist in Warangal, ENT specialist in hanamkonda , ent specialist in hanamkonda ENT clinic in Warangal Telangana, ENT clinic in hanamkonda Telangana, ENT doctor in Warangal Telangana, ENT doctor in hanamkonda Telangana, ENT doctor near warangal Telangana, ENT doctor near hanamkonda Telangana, Top ENT doctor, best ENT Specialist, Top ENT Specialist in Warangal, Top ENT doctor in Warangal, Top ENT doctor in hanamkonda, Top ENT doctor in Kazipet, Top ENT Specialist in hanamkonda ENT doctor in kazipet Telangana, ENT specialist near hanamkonda, ENT specialist near warangal, ENT Clinic, Hanamkoda Apple ENT Care, Dr Harikishore ENT, Apple ENT Care, Dr Harikishore ENT, ENT in Warangal, Telangana, | Best ENT Hospitals in Hanamkoda, Ear doctor in Warangal, Telangana, India, Apple ENT Care, Dr Harikishore ENT, Best Ear Specialist Hanamkoda, Warangal, Telangana, India, Apple ENT Care, Dr Harikishore ENT Best ENT Doctors Hanamkoda, Warangal, Telangana, Apple ENT Care, Dr Harikishore ENT, HNK ENT Surgeon in Hanamkoda, ENT in Warangal, Telangana, Apple ENT Care, Dr Harikishore ENT ENT Specialist in Hanamkoda, Warangal, TelanganaENT in Kazipet, India, Apple ENT Care, Dr Harikishore ENT, Ear Treatment Nose Hospitals in Hanamkoda, Throat Hospitals inWarangal, Telangana, Apple ENT Care, Dr Harikishore ENT, Ear Surgeon, ENT in Hanamkoda, Warangal, Telangana, India, Apple ENT Care, Dr Harikishore ENT , Ear Surgery ENThospitals in Hanamkoda, Warangal, Telangana, Apple ENT Care, Dr Harikishore ENT , HNK, hnk, Nose Specialist in Hanamkoda, Best ENT in Warangal, Telangana, hanamkonda ENt in Warangal, Apple ENT Care, Dr Harikishore ENT| Nose Treatment Hospitals in Hanamkoda, Warangal, Telangana, Apple ENT Care, Dr Harikishore ENT, Nose Surgeon in Hanamkoda, Best Nose Warangal, Telangana, Apple ENT Care, Dr Harikishore ENT, Nose Surgery Specialists in Hanamkoda, Top ENT in Warangal, Ear Telangana, Apple ENT Care, Dr Harikishore ENT India, Nose surgery Hospitals in Hanamkoda, Top ENT Warangal, ENT Telangana, Apple ENT Care, Dr Harikishore ENT, HNK, WGL, Throat Specialist in Hanamkoda, Warangal, Telangana, Apple ENT Apple ENT Care, Dr Harikishore ENT, HNK, WGL, Nose Throat Treatment Hospitals in Hanamkoda, Warangal, Apple ENT Telangana, Apple ENT Care, Dr Harikishore ENT, HNK, WGL, ENT in Warangal, ENT Throat Surgeon in Hanamkoda, ENT in Warangal, Telangana, Apple ENT warangal , Apple ENT Care, Dr Harikishore ENT, HNK, WGL| Throat Surgery in Hanamkoda, Warangal, Telangana, Apple Ear India, Apple ENT Care, Dr Harikishore ENT, HNK, WGL, ENT Throat surgery Hospitals in Hanamkoda, Top ENT Warangal, Telangana, Apple ENT, Apple ENT Care, Dr Harikishore ENT, HNK, WGL, Best ENT in Hanamkoda, Ear in Warangal, Telangana, Apple ENT India , Apple ENT Care, Dr Harikishore ENT, HNK, WGL| Best ENT Throat neck Hospitals in Hanamkoda, ENT in Warangal, Apple ENT Care, Dr Harikishore ENT, HNK, WGL Telangana, Apple ear Nose Neck India Apple ENT Care, Dr Harikishore ENT, HNK, WGL| Ear And Nose And Throat Services in Hanamkoda, Ear in Warangal, Telangana, Apple ENT Care, Dr Harikishore ENT, HNK, WGl .ENT SPECIALIST IN warangal, Ear nose throat clinic in hanamkonda, Ear nose throat clinic in Warangal Telangana, Ear nose throat thyroid clinic in Warangal, Ear nose throat thyroid clinic in hanamkonda, Ear nose throat doctor in Warangal, Ear nose throat thyroid problems, Ear nose throat thyroid surgeon in hanamkonda, Thyroid problems, Thyroid doctor, Thyroid surgeon, Thyroid clinic in hanamkonda, Thyroid hospital in Warangal, Thyroid hospital in hanamkonda, Thyroid Specialist in Warangal, thyroid Specialist in hanamkonda, Best ear doctor, best ENT Specialist, best ear Specialist in Warangal, best ear doctor in Warangal, best ear doctor in hanamkonda, best ear doctor in Kazipet, best ear Specialist in hanamkonda, Best nose doctor, best ENT Specialist, best nose Specialist in Warangal, best nose doctor in Warangal, best nose doctor in hanamkonda, best nose doctor in Kazipet, best nose Specialist in hanamkonda, Best throat doctor, best ENT Specialist, best throat Specialist in Warangal, best throat doctor in Warangal, best throat doctor in hanamkonda, best throat doctor in Kazipet, best throat Specialist in hanamkonda, Best thyroid doctor, best ENT Specialist, best thyroid Specialist in Warangal, best thyroid doctor in Warangal, best thyroid doctor in hanamkonda, best thyroid doctor in Kazipet, best thyroid Specialist in hanamkonda, Best thyroid clinic, best ENT clinic, best thyroid clinic in Warangal, best thyroid clinic in Warangal, best thyroid clinic in hanamkonda, best thyroid clinic in Kazipet, best thyroid clinic in hanamkonda Just dial hearing specialist in Warangal , Just dial hearing aid doctor in Warangal, Just dial hearing aid doctor in Warangal, Just dial hearing aid centers in Warangal, Just dial hearing aid stores in Warangal, Just dial hearing test centers in Warangal, Just dial hearing specialist near me, Just dial hearing specialist in hanamkonda, Just dialhearing aid doctor in hanamkonda, Just dial hearing aid doctor in hanamkonda, Just dial hearing aid centers in hanamkonda, Just dial hearing aid stores in hanamkonda, hearing test centers in hanamkonda, Just dial Just dial Hearing Specialist name, Just dial hearing aid doctor near me, Just dial hearing aid doctor near me, Just dial hearing aid centers near me, Just dial hearing aid stores near me, Just dial hearing test centers near me, Just dial Hearing Specialist name, Just dial Best ENT doctor in Warangal, Just dial Best ENT doctor in hanamkonda, Just dial Best ENT doctor in Kazipet, Just dial Best ENT doctor in near Hyderabad, Just dial Best ear nose throat doctor in Hyderabad, Just dial Best ENT Specialist in Warangal, Just dial Best ENT Specialist in hanamkonda, Just dial Best ENT Specialist in Kazipet, Just dial Best ENT Specialist in near Hyderabad, Just dial Best ear nose throat Specialist in Hyderabad, Near Hyderabad India, .